Proposals to build a 35-storey tower bloc, dubbed the ‘Flintoff Towers’ by local residents, have been turned down by Manchester councillors after fears it would have a ‘disastrous’ impact on the Castlefield Conservation area. Originally, the plans split the opinion of councillors by 5-5 in September, forcing it into another round of debate in the following month. Half of the Councillors backed the proposal, arguing it would have a positive impact on the regeneration of the area, which includes the Grade II listed St George’s Church along with various canals and warehouses, characteristic of the traditional Mancunian city-scape. Put forward by the former England Cricketer Freddie Flintoff, the plans entailed the erection of two high-rise residential blocs, comprising of 374 apartments and further commercial space. Importantly, the council considered the development exempt from their very own ‘Manchester Core Strategy’, which promises 20% of all new large housing developments in the city to be earmarked for affordable housing schemes. This was on the basis that accordance with this policy would “undermine the viability” of the project to be completed to the “highest standard.” Instead, the site would support a financial contribution of a mere 5% to the affordable housing scheme. The Flintoff Towers highlights a growing trend in and around Manchester city centre. 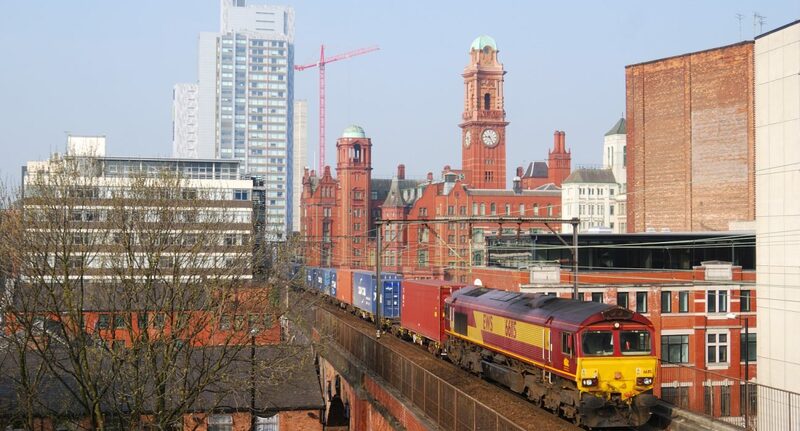 Manchester is the fastest growing city in the UK, having increased its population by 19% since 2001, with the city centre population expanding from a mere few thousand in the late 1990s to around 24,000 in 2011. This is a course that is not expected to cease anytime soon, and the council estimates around 3,000 new homes are required every year to accommodate to this demand. Yet despite this, of the 15,000 dwellings granted planning permission over the last two years, none have been considered affordable, according to an investigation by The Guardian. This means that not one of the houses or flats commissioned were open to social rent or offered at 80% of the market, and instead, were all aimed towards those in a financial position to privately rent. Buy-to-let properties such as these often create temporary residents, not the homes integral to building a community. In recent years, this has also contributed to an average rent increase of £100 per month in central Manchester. Meanwhile, some 80,000 people are currently on Greater Manchester’s social housing waiting list. Homelessness is on the rise, with the city centre seeing a sevenfold increase in the number of rough sleepers since 2010 alone. Even those who currently have a home are considered vulnerable, with approximately 1 in 62 households in the former Cottonopolis at risk of repossession or eviction. So, why is the council failing to address the looming housing crisis and stick to their very own affordable housing policy? Councillors may have turned down the Flintoff Towers, but this was perhaps more as a result of concerns to the aesthetic landscape, rather than concerns over the lack of social housing. This is not to suggest gentrification is not an important issue in the area too. In the same committee meeting, councillors also ignored 50 complaints from local residents to give the green light to proposals from Manchester Metropolitan University to construct a 491-bed student accommodation block at the Birley Fields campus, Hulme. Residents branded the plan a “huge monolithic inappropriate structure” as fears were raised the developments would overshadow the local landscape and put a strain on the local community. Indeed, even just a few days ago Manchester Evening News revealed that social housing was being sold off to private landlords since it was no longer “economical” for social housing providers to look after them. This included properties in Moss Side, where the housing charity Shelter has warned no-fault evictions to be on the rise.